If you happen to be a huge Star Trek fan, but also the owner of an Amazon Echo, Dot, or Tap, then today’s news is really going to set you up for a fantastic day. In the company’s eternal wisdom, and much to the delight of every Captain Kirk or Jean-Luc Picard fan out there, Amazon has added the “Computer” wake word to the list of available options for bringing one of the aforementioned pieces of hardware to life. 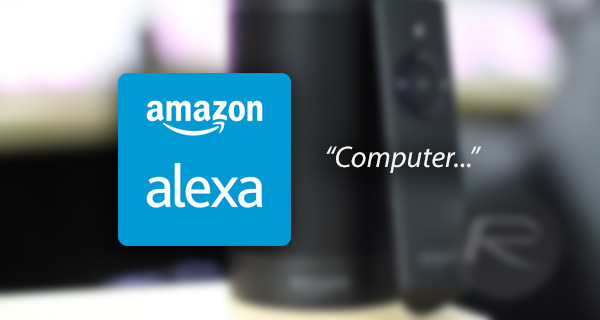 No longer do you have to suffer the embarrassment of calling Alexa by her name to activate the service, or use the boring, mundane ‘Amazon’ or ‘Echo’ wake word. We don’t know whether it’s by popular demand, or just to scratch the itch of some internal engineer within Amazon, but you can now simply say ‘Computer’ to bring Alexa to life. The feature apparently has been rolling out quietly to iOS and Android apps over the course of a week, but as expected, not many users caught up to this liberating feature. But now that it’s out in the wild and, and you can live that Start Trek dream – to an extent – here’s how you can get started with it. 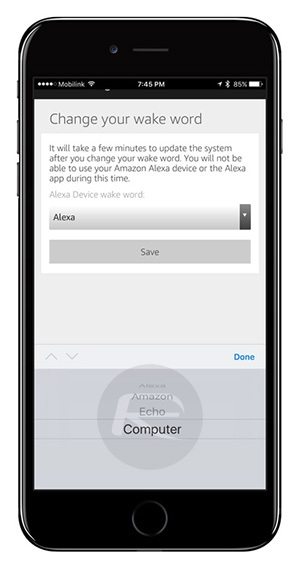 Step 1: First up, find the Alexa app on your mobile device and launch it just like you normally would. 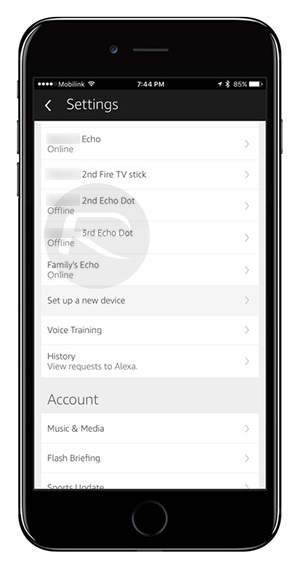 Step 2: When in the Alexa app, select the More menu option, which is represented by three horizontal white lines in the top-left corner. Step 3: Now, select Settings, which should be towards the bottom of the menu options. Step 4: When in Settings you will be presented with the list of Alexa-enabled devices that you have registered. Select the one that you wish to change the wake word for. Step 5: Once you select the device, you will see a number of things you can change on it. 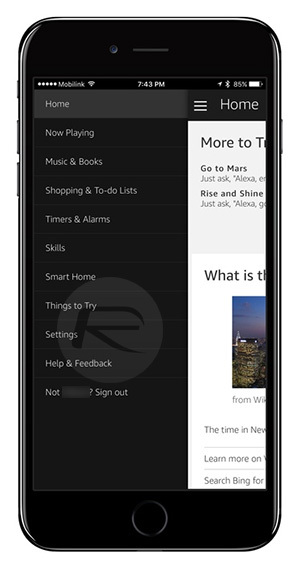 Tap on the Wake Word option. 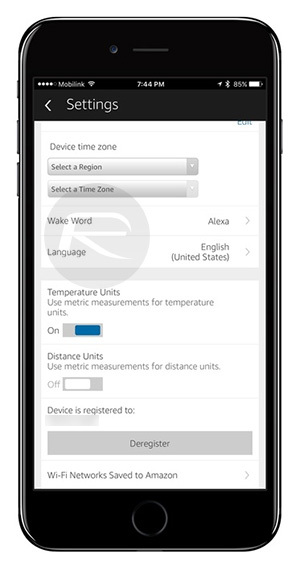 Step 6: You will see a header title “Alexa Device wake word” with a drop down menu. Tap on the drop down to reveal the options. Select ‘Computer’ and then tap on Save. If you get a resulting confirmation popup, simply close it to continue and exit Settings. And there you have it. 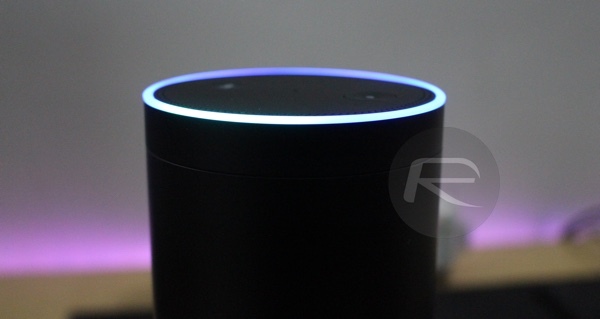 You can now wake your Echo, Tap, or Dot up by simply saying “Computer”. If you go through the above process and find that the Computer wake word isn’t showing yet, then just give it a few hours for Amazon to roll out the change.